It has been just over 10 months after Hurricane Irma struck the Florida Keys Sept. 10 2017. Most of the businesses in the Keys have since recovered and have been serving visitors again for the first half of the year. The Key Lime Sailing Club has been up and running since just after the storm housing some of the first responders then completing repairs thereafter. Thank you to everyone for the good thoughts, prayers and support! We are now approaching one of Paul’s favorite time of the year, the water is so very warm, mini lobster season starts this week and the crowds will be slowing down just after August 4th. It is the perfect time to get away to the Florida Keys room rates and air fares will be at their lowest. We would like to invite you to come down to the Keys during this great part of our season! I AM SAYING, during these times you can get the best deals everywhere, flight tickets, tour packages, and room rates. Plus the crowds are gone so vacations are more relaxing! But what about hurricanes? WE HAVE A DEAL FOR YOU!!!! If you book for 5 nights between August 4th and Nov. 30th and there happens to be a Hurricane calling for a tourist evacuation, we will give you a FREE 1 night for your rescheduled dates! Or refund you 6 nights in full So your 5 nights will become 6 nights, YEP DID SOMEONE SAY DEAL??? 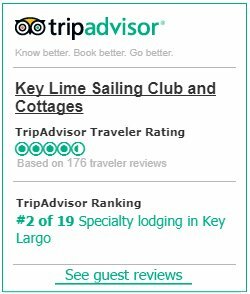 We want all our guests new and repeat to have great Florida Keys vacations without spending a lot and with this offer from Key Lime Sailing Club and Cottages, you get peace of mind and a chance to make a buck$. It is our way for us to show gratitude to all our past and future guests! A note to our future guests: Our repeat guests know about and are willing to work with a rainy day or two by relaxing under the tiki hut while watching the occasional storm pass by out on the horizon or being nicely tucked inside one of our comfortable cottages for some couple’s or family alone time. Before long, the sun is out again, and everyone is back to enjoying our amenities. We hope you will be doing the same on your first, and future, stays with us! If you have not stayed with us before, come and give us a try! To our repeat guests, we just want to say thank you for being part of the 65% factor and we hope you continue to support us by making a reservation during hurricane season and taking advantage of our Hurricane Season Special. Check some of our reviews from guests that stayed during hurricanes. Yes it is worth it! 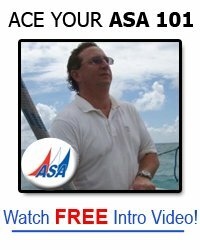 Here are some Florida Keys happenings in the next few months, pick a date and come on down for great Florida Keys Vacation.